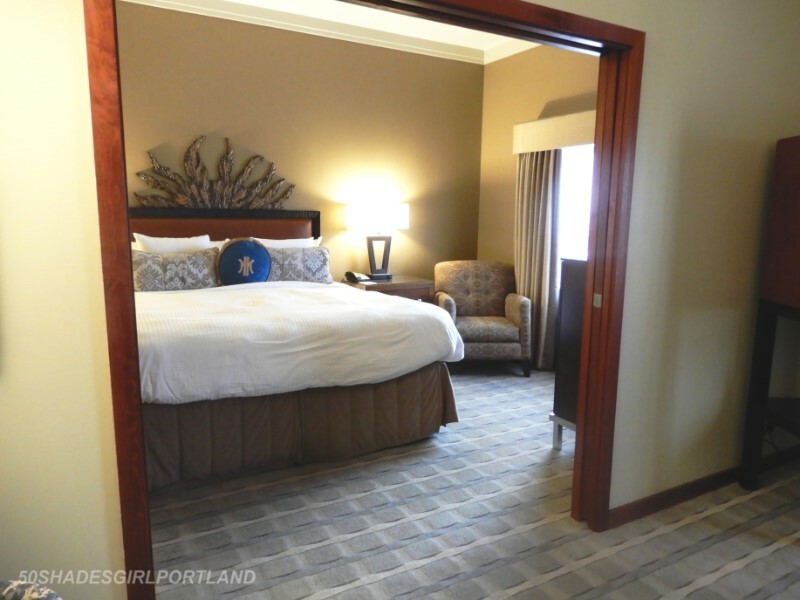 This is definitely the best time of year to visit The Heathman Hotel in Portland, Oregon. 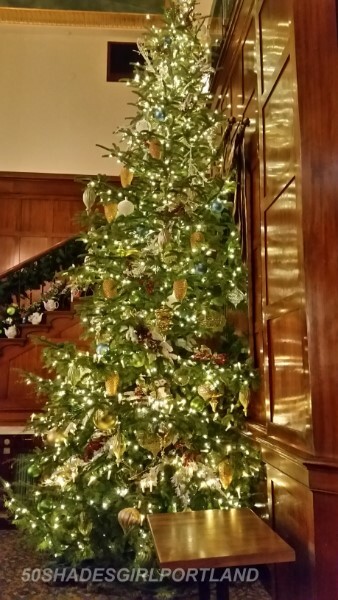 I have been lucky to visit the hotel several times over the last few years, but this last weekend stay with all their holiday decorations up was truly the best of them all. 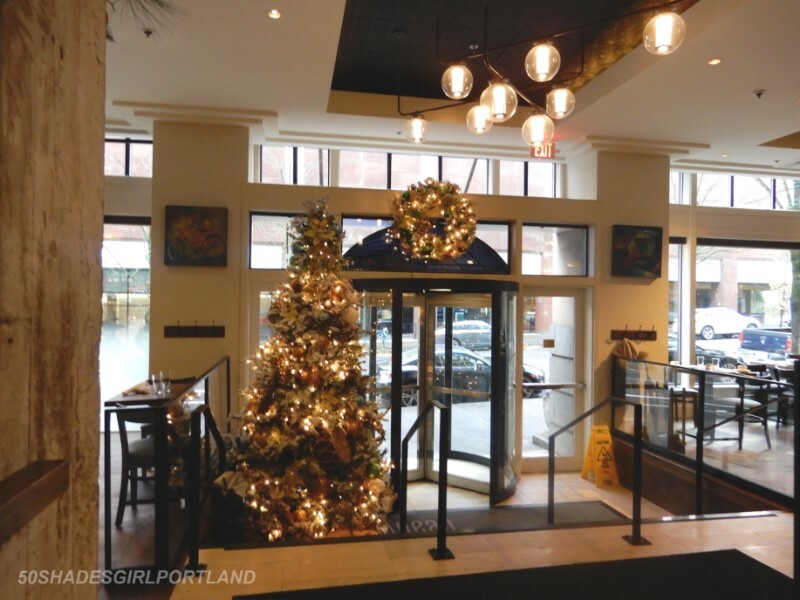 The holiday theme started right inside their entrance with a huge decorated tree and several smaller ones in he lobby. 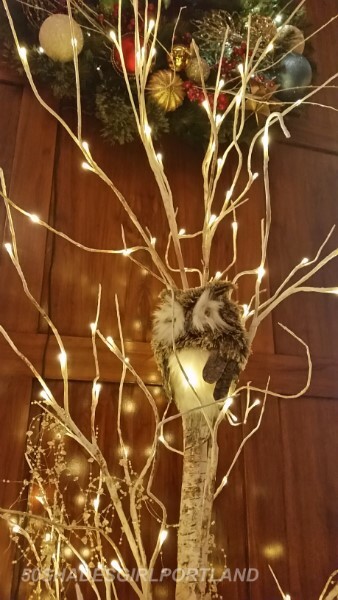 The Tea room had the tallest tree with beautiful old world glass ornaments, ribbons and even a few owls peeking out from the branches. The centerpiece in the room included several items which reflected their new Russian Tea Service in this room. 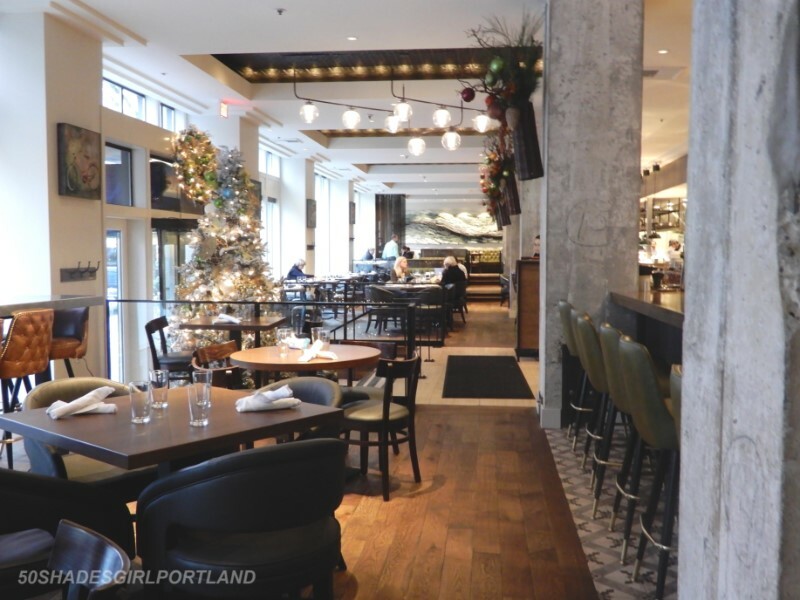 The holidays continued through to the new Headwaters restaurant with another beautifully decorated tree and lots of hanging garlands. 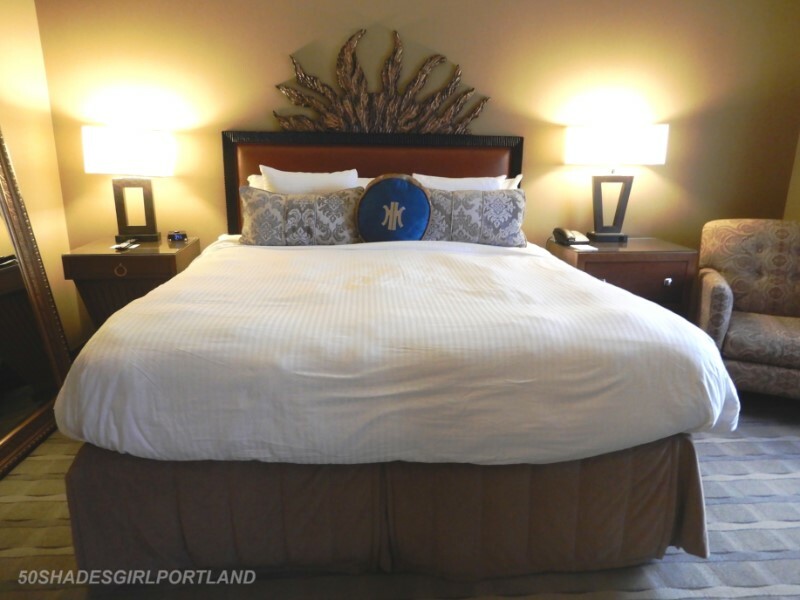 My stay in the Symphony Suite was perfect and roomy and I loved their iconic headboard at the head of the bed. 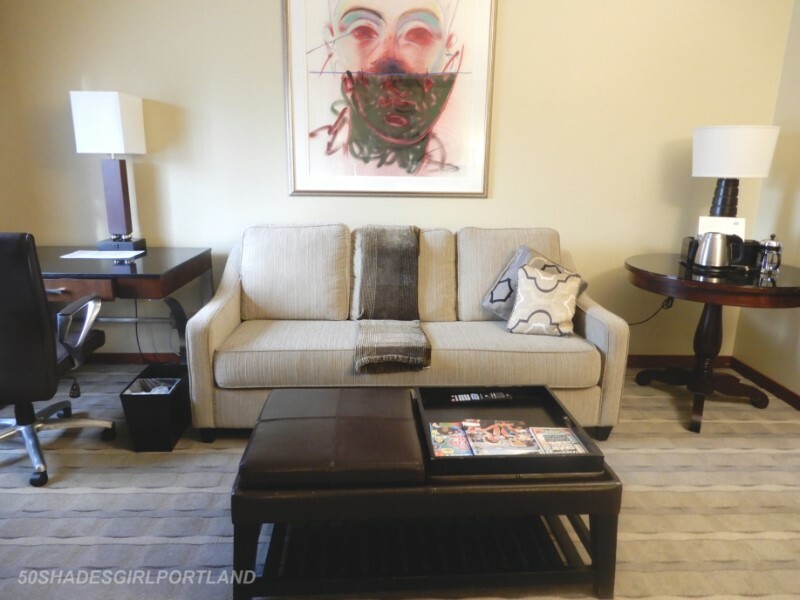 It was also nice to have the extra space with the sitting area. 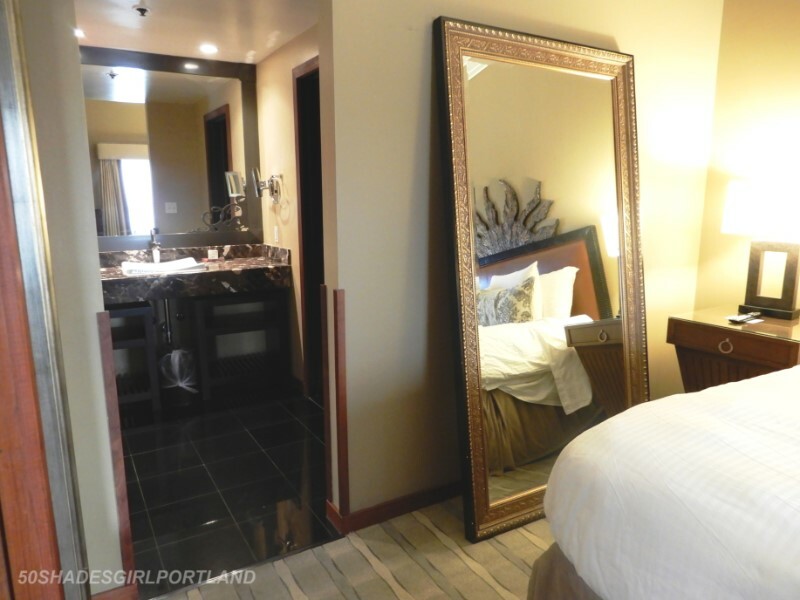 The rooms decor was done in very rich tones and felt very comfortable for my stay. 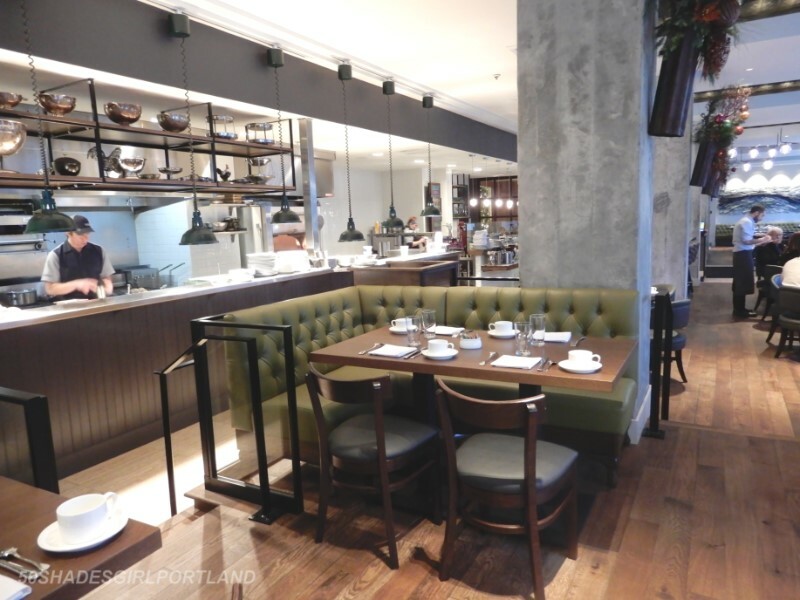 On Sunday we had a delicious brunch in the newly opened Headwaters restaurant. 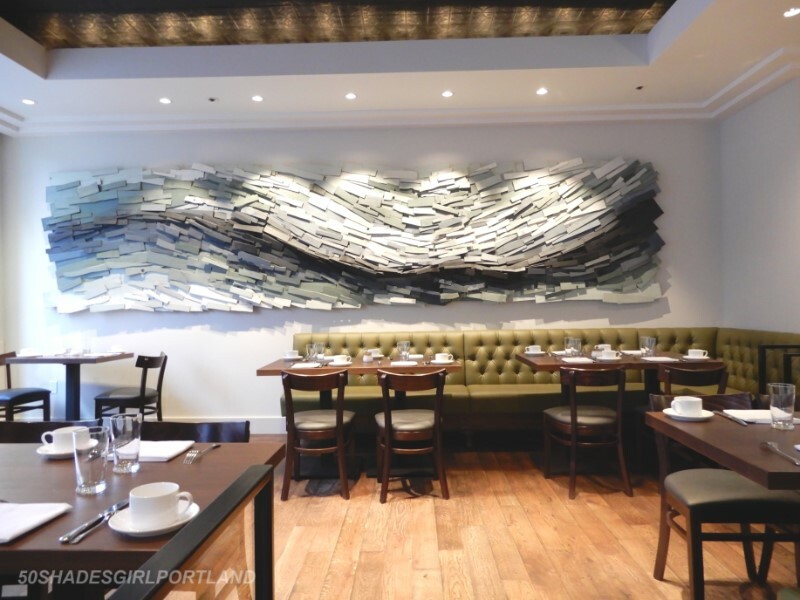 The restaurant was closed for several months and reopened with an amazing new design throughout the restaurant and bar. 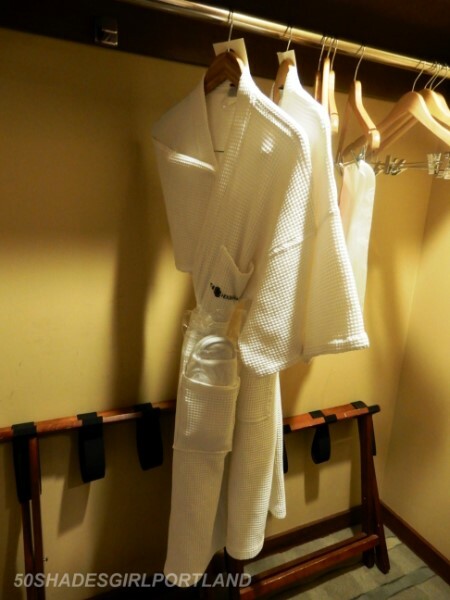 It had a newly modern decor but still retained the warm comfortable feel to it. Lots of warm grey, browns and neutrals were used throughout. 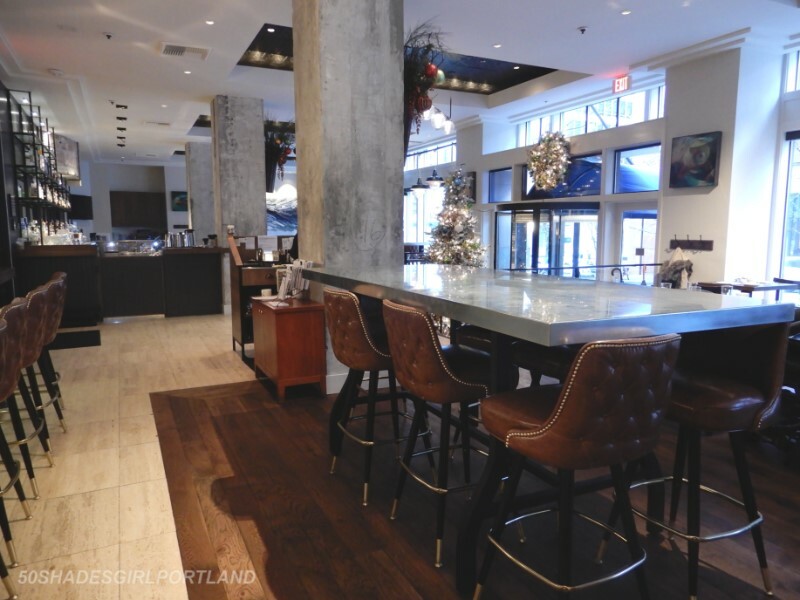 Th exposed pillars lent a new modern flair while the plank wood floors brought the warmth back. 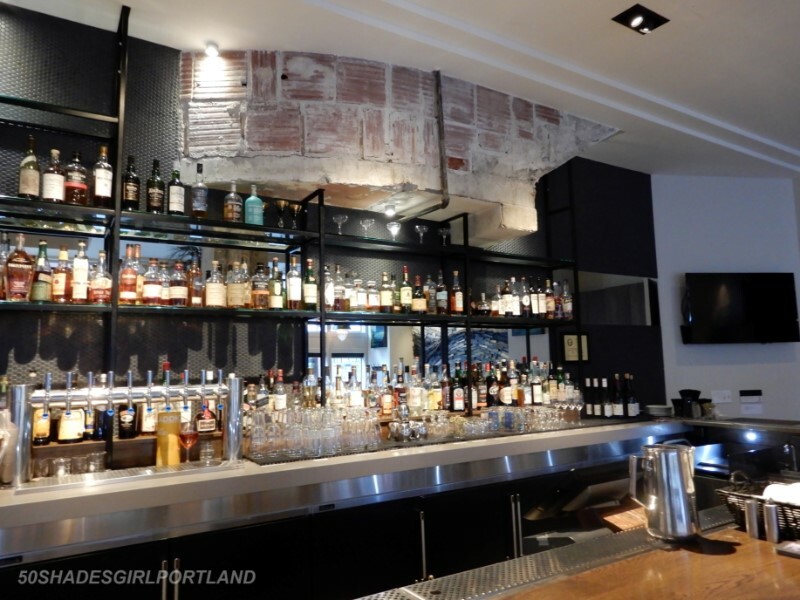 The bar has been moved to a longer wall and raised to the same floor level as the restaurant which opens up the whole area. 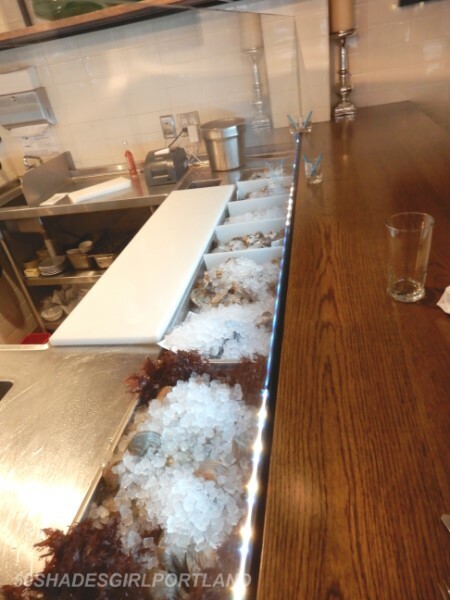 One of the new additions to the restaurant is an Oyster Bar. It was fun to watch her set up this morning. 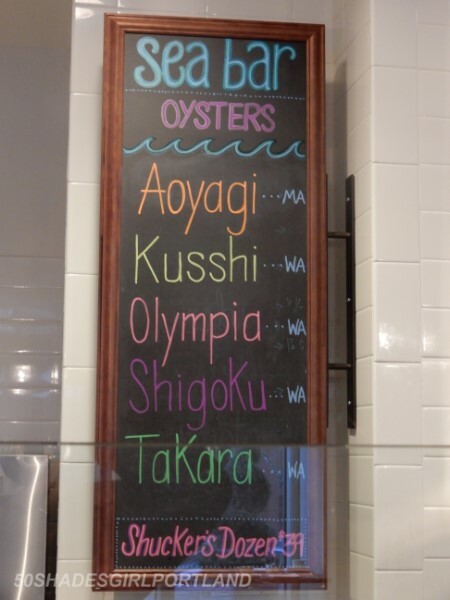 I learned that they feature up to 8 different types of oysters and they are used on several of their menu items. 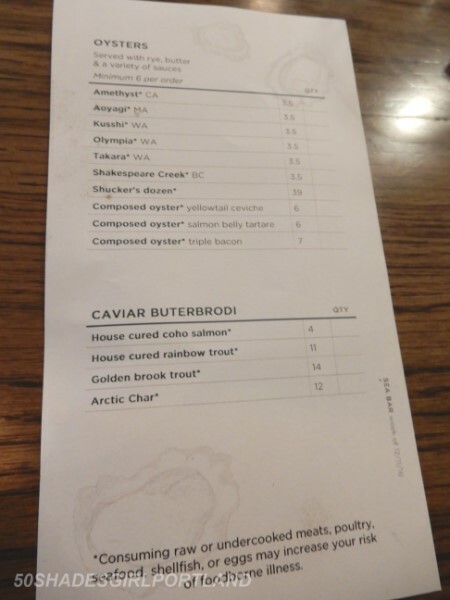 There is even a separate menu for the Oyster Bar items. 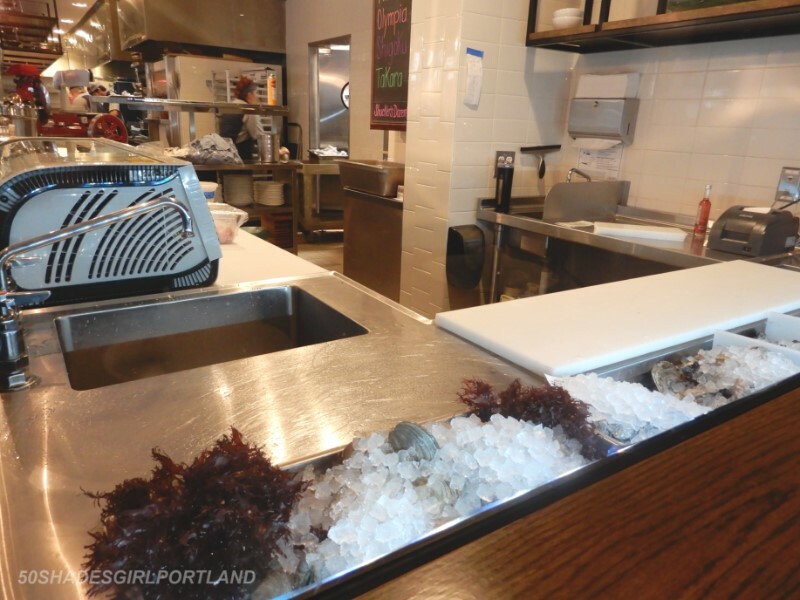 “Holy Moses – – he’s ordered oysters on a bed of ice.” Fifty Shades of Grey. 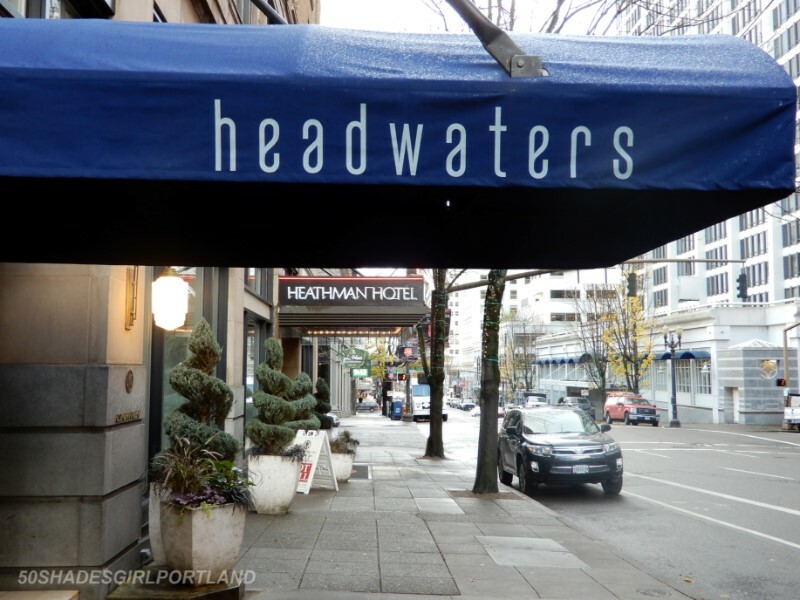 The Heathman Hotel continues to be my favorite of the Portland Fifty Shades locations and now with the addition of the new Headwaters Restaurant it will continue to delight all the Fifty Shades Fans. 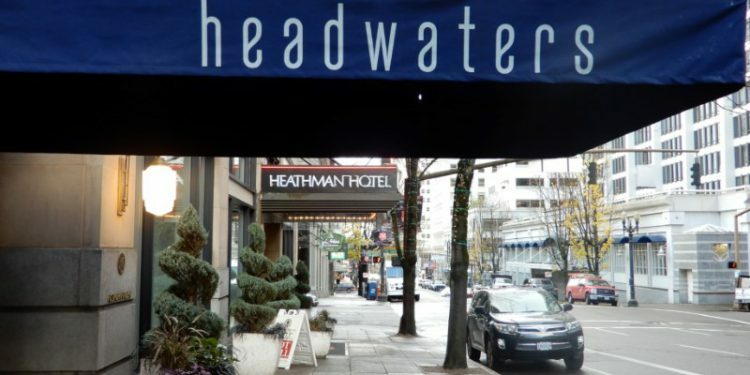 You can read more about The Heathman here. FIFTY SHADES OF GREY AND DID YOU SAY TWILIGHT?